When I first got into this business way back when, I did not have children of my own. I would meet with parents who would talk about their children and needing my services to help them get better. Every now and then, you would meet the overzealous parent. I had friends who had such parents. They went over the top on everything. Whether it was dragging their kid out after a game to practice more drills. Be that obnoxious yelling parent at games. Going in and talking to the coach about playing time. Early on, I assumed these types of parents felt their kid was the second coming of [insert any stud professional player here]. And many times, that was the case. Let’s now fast forward to present day. I think the translation is basically just putting them in a position to succeed and have fun with whatever sport they are playing. I generally believe that is what most parents want for the kids. Most of them are realistic in the fact that they understand the chances that their kid is going to be that very small percentage that plays professionally probably isn’t happening. That being said they are still faced with difficult decisions once their kids play sports. The older the kid gets and the higher up that kid plays in the sport more and more questions are faced by the parent. After talking with my parents and knowing some of the issues that I face as a parent, here are some of the choices these parents have to make. Should my child play travel ball or rec ball? If you want your child to really improve in their sport, they need to be playing travel ball. Or that is the argument. But, is the financial investment going to be worth it? What if the kid gets burned out? And this leads us to the next question. Should I drop the other sports and focus on the one? If you are playing travel, a lot of those teams will encourage this. Some don’t. And then those athletes are poached by the coaches that do encourage specialization. Will the child still have fun if he/she chooses one sport and plays travel? Which travel club is the right one for my kid? Some of these athletes travel all over the country to play travel. Some athletes join a travel team and get no playing time. Is that developing that athlete’s skill? What if you have a situation with a coach? How do you know if that coach is a good coach just trying to motivate or a moron? Do you as a parent immediately go in and protect or guide the kid and help the kid resolve the issue on his/her own? 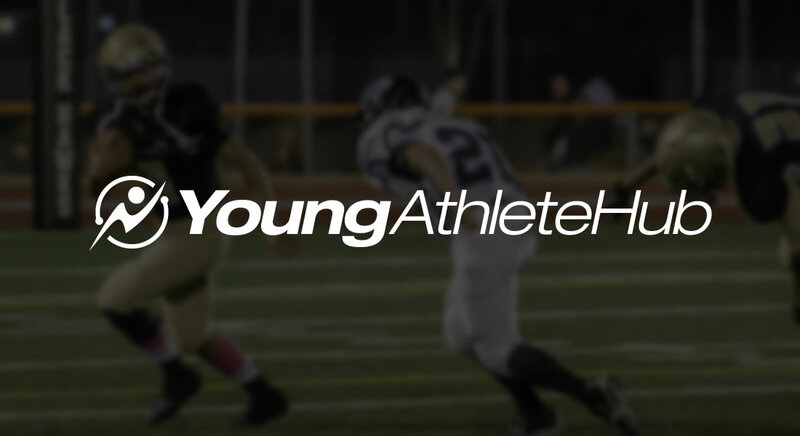 Am I doing enough to develop my athlete so that he/she can make his/her high school team? I think about this question all the time. Is playing for this team as a fifth grader going to develop my athlete or do nothing at all and thus set him/her back in athletic development? Does my fifth grade athlete need to play against all the best competition in the surrounding states and play a game amount similar to adults? Why can’t the athlete just play for the sake of having fun? Well you can, but in this day and age is that enough to develop the skill set so that the individual can make the team and continue to have fun. Or would a rec team be better suited where anymore it is low pressure and really for fun? But when the time comes to make a team you really want to make, will you have the skill to do it? My kid loves to play but athletically is falling behind? Do you hire a private sport coach to improve my kid’s athleticism and skill? Is that too much? What age should I do it? I deal with parents all the time that ask these questions. Ultimately, as parents we want our kids to have the best experience possible you can get out of sports. We struggle to figure out the healthy balance between what is enough or too much. Is this doing more harm than good? What is the end game and what do we need to do to get there? Like I said, most parents don’t have aspirations of their kid making the pros. It was always understood that you need to have a lot of good ability and put in a lot of hard work. Now it seems that even if you are just wanting to make a team, you have to put in an equal amount of hard work and you don’t even know if it will pay off for you in the end. I would love to hear what you think. Feel free to put your comments in the comments box below. My son is a junior in High School playing baseball and we have had ALL the discussions above. As your child goes through his/her athletic career, they will tell you what they want. My son quit playing basketball, specializing in baseball and up till a year ago, wanted to play D-1 in college. I think he could but as I think about his athletic career, he’s made these decisions based on HIS desire. He didn’t want to play basketball so he quit. He continues to work out, get batting lessons and play school and travel ball. At age 16, you can’t make your child do better/more in a sport unless they want too. He wants to put in the extra work to be a good high school player and has passed on his desire to play at the college level. He has made academics a priority since entering high school but still loves the game..what more could parents ask for. My daughter is a current D1 gymnast and a longtime client of Adam’s. She put in the work, suffered through the injuries and made the sacrifices because of her love of the sport! Her scholarship is about her motivation, perseverance, and hard work. Our attitude was always one of support, the motivation and work had to come from her. That said, we always encouraged her to follow her dreams and gave her as many opportunities as possible to do that. It was up to her to make the most of them. Let me tell you, college athletics are competitive and demanding! The beautiful thing is she is able to get her education and continue doing what she loves!